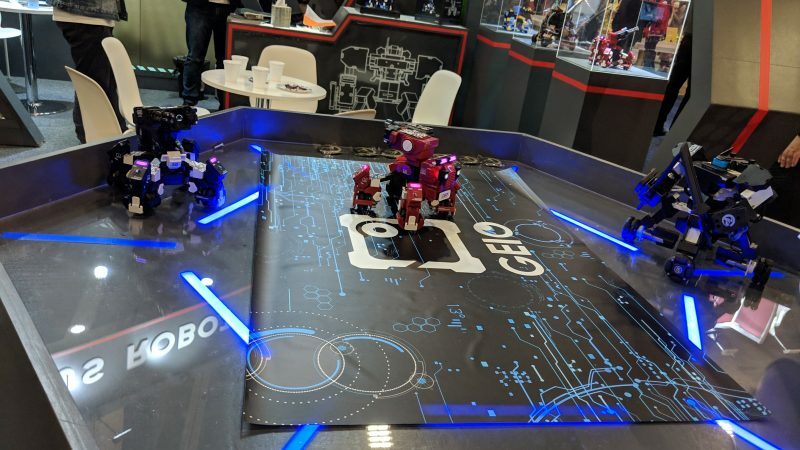 GJS showcased its new GEIO immersive robotic experience at 2019’s CES in Las Vegas. 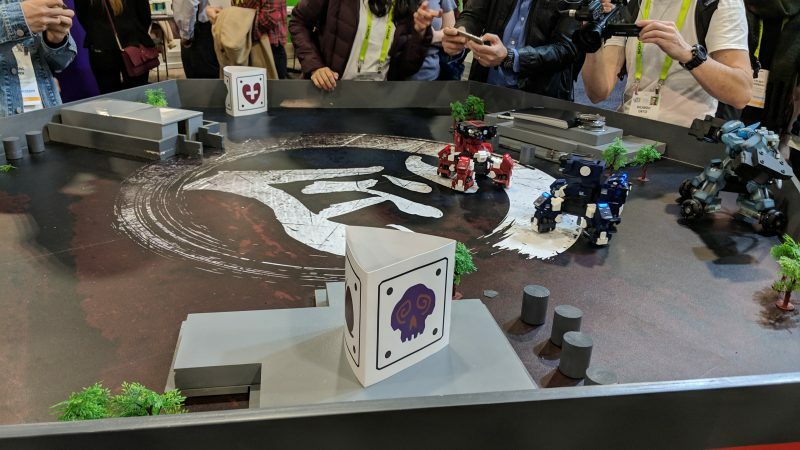 By bringing a unique type of gaming using smart visual recognition technology and a high-speed motion system, it has found a way to bring virtual robotic warfare to reality with the help of your smartphone and cool little robot. 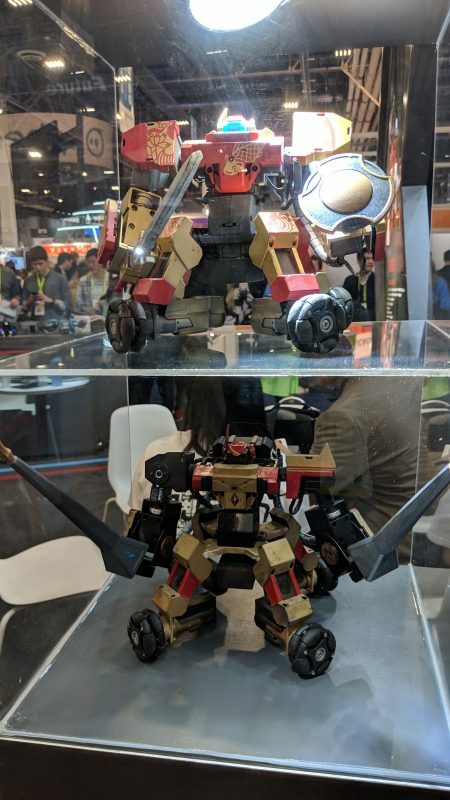 Using your smartphone to guide your physical and moving robot, you can control your bot to fight against AR enemies or other robots that your friends can control. This is all controlled by the user with the help of embedded artificial intelligence (AI) and your FPS skills, giving you a virtual fighting experience in reality! You can use GEIO in single, two-player or multiplayer mode, making each experience unique. The battles are achieved through infrared sensors and an electronic scoring system, which offer real-time monitoring of health status, upgrade trajectory and special bombs, first-person view control, the ability to create rooms for battle with others and the option to take photos and record while exploring the world via the GEIO GJS connected mobile app. One thing to note is that we experienced this using iPhone 5s, tackling any potential worries about needing a powerful phone for this product. Having experienced AR gaming apps like Pokemon Go! and Ghostbusters, this was a completely different yet familiar experience considering the physical robot element that’s brought to the experience. And these robots don’t move slowly; these things move fast making it fun and difficult. It’s promoted as a learning product as well since you can design your own bots, work on hand-eye coordination, and some computer coding could be involved. First-Person View: GEIO is endowed with “vision” to attack enemy accurately via the app interface First-Person View. Visual Recognition: Face recognition, enemy and totem detection with GEIO camera and sensors upgrade the gaming experience. Motion Sensors: Augmented with motion sensors and high-speed omnidirectional chassis, GEIO possesses the ultimate sense of user control. High-performance Servos: Two high-torque and high-precision servos with smart turret to help you aim at the enemy. Electronic Scoring System: Win the battle without using violence. Programming: Program GEIO robot with the graphical coding, improving your logical thinking and creativity in the game. You can learn more about this awesome product and buy them here. 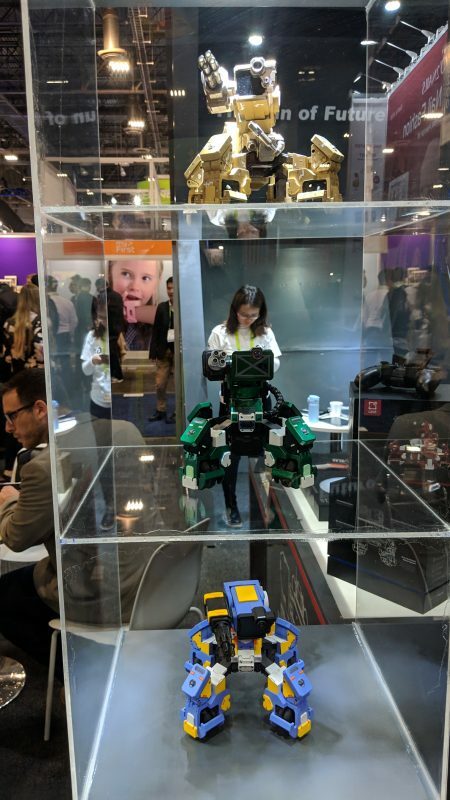 The post GJS Robot brings new FPS and AR experience to CES 2019 appeared first on Nerd Reactor.